Glitz without the glue! 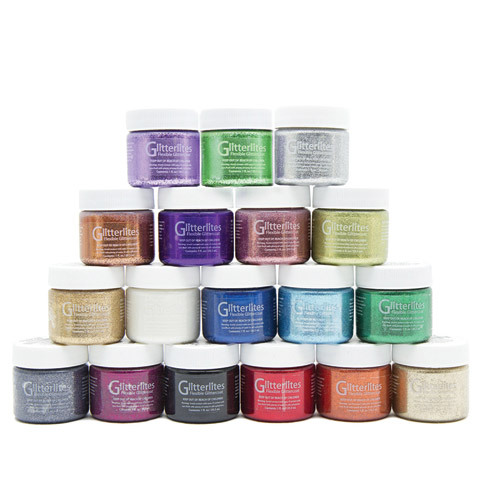 This shiny, flexible glitter coat can be applied straight out of the bottle to give surfaces a glittery finish. It is great for shoes, handbags, belts, boots, accessories and more. It can be applied in a thin coat for a more subtle shine, or thicker for a more glittery appearance. When the white sugar color is mixed with any Angelus Leather Acrylic Paint color it will create a pastel effect. Ideal for proms, weddings, parties and crafts. In 1 oz. bottles.